We are pleased to announce our new appointment within our Marketing department at Lynx Pro Audio. Cristina Cerdeira is a Media Marketing Profesional that is ready to give it her all on this new project. “I know that being here is a challenge, a place to test everything I have learned and, of course grow the company. I look forward to working with the Lynx team as well as all the distributors around the world”, she comments. Cristina is a Journalist Graduate from the University of Valencia, with training in Digital Marketing from the University of Alicante. She posses multiple professional design skills and comes with a positive mindset, full of energy and ideas: “I’m very excited about joining Lynx Pro Audio and am grateful for this opportunity to further develop my skills”. Mastering Spanish, English and improving her Japanese, Cristina Cerdeira is passionate about communication, the online world and languages. “I regard myself as dynamic, full of curiosity and a desire to learn new things on a daily basis. I want to help develop Lynx Pro Audio and see the brand grow in the Pro Audio Sector. I know this will be both a personal challenge as well as an important professional experience”. 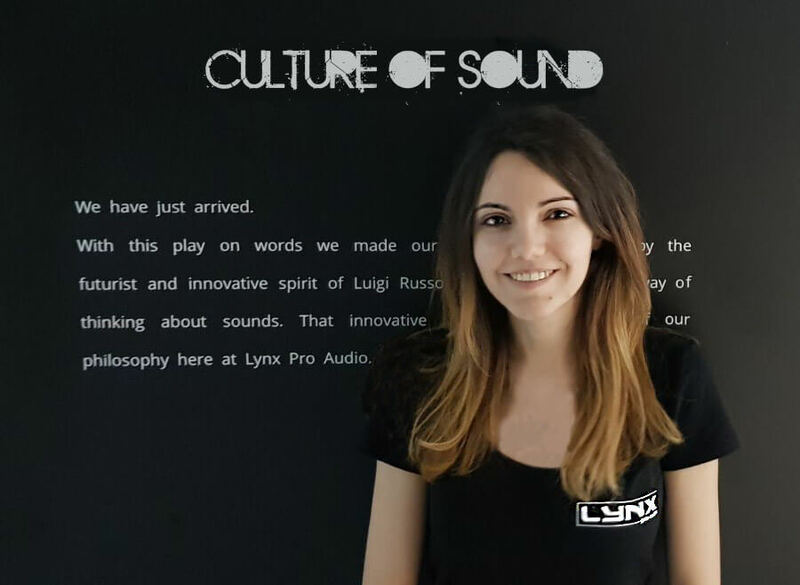 With Cristina’s appointment, Lynx Pro Audio gets a new team member and opens up the doors to new challenges and goals without losing sight of our company’s aim: keep designing the most advanced and technologically innovative sound available anywhere in the world. We are delighted with her incorporation and on behalf of the entire Lynx Pro Audio we welcome her.